Courtesy of those wonderfully generous television people, we have another Friday of fantastic football. This column has already made known its distaste at this new turn of events so we’ll spare you the rant. Suffice it to say, most people wouldn’t care anyway as this could well be a peach of a game. Or, it could be a dour low-scoring draw. This tie brings together two of the better managers in the league in the forms of the emotionally charged Antonio Conte and the emotionally charged Jurgen Klopp. The former is tactically one of the world’s best and Chelsea should thank their lucky stars that they landed the Italian. Under his direction, Chelsea have dropped just two points (and were very unlucky to do so) and against their four opponents in the league, have faced just seven shots on target. As stats go, that is an easy one to understand when you twin the talents of an Italian manager and one N’Golo Kante. The former Leicester defensive midfielder has been described as two-players-in-one given the amount of effective work he gets through in that part of the field. If Liverpool can replicate their form of last weekend, Kante will be run off his feet. As shaky as their defense is and likely will continue to be, when the force of Liverpool’s attacking threat gets going, they are close to irresistible. 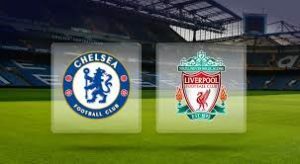 Last weeks 4-1 beating of Leicester displayed the dizzying talents at Klopp’s disposal and if they can hit that gear against Chelsea, they would surely be favourites to win. However, if there’s one manager who can effectively nullify an attacking threat, it is Conte. The bedrock of any success that the club might enjoy under his stewardship will be built on the back of an excellent defensive structure so the chance of Liverpool running riot in this match are quite slim. In his attacking favour, Diego Costa is in lethal form in front of goal but also out the field with ball at feet. He will give this Liverpool defense a far bigger headache than anything they’ve had so far this season. Liverpool are certainly on a high and acutely aware of the power they possess. Chelsea under Conte are the rocks upon which they may well flounder. If Klopp brings dreams, Conte knows how to destroy them. For all their skill, Liverpool probably lack maturity in their ranks and may not be able to deal with the frustration they are likely to face in attack. It might not be pretty but Chelsea should manage a win. The bookies concur and BetVictor are offering 13/10 on that result. P.S. We’ve just remembered that David Luiz will be starting in the place of John Terry in the Chelsea defense so disregard the above as anything could happen with that man on the pitch. Hero, villain or probably both, his presence on the pitch adds a variable too great to consider at this stage. Both these teams have accumulated four points from their first four games so it’s safe to say that neither has had an impressive start to the season. Having said that, Burnley are probably happy enough to have a win under their belt and to have accumulated 10% of the points they likely need to secure BPL survival into next season but Leicester, being the reigning champions, should have higher standards. And indeed, these standards have seen them to a handsome win in their opening CL game away to Club Brugges in Belgium. It is in sharp contrast to their opening day loss to a cobbled together Hull and their pants down spanking at the hands of Liverpool last weekend. Could it be that, having done the seemingly impossible last season, their appetites as players has psychically shifted to the CL, given that the chance of them repeating the heroics of last year are even slimmer than they were previously? This column is inclined to think so. In extremely simple terms, we expect them to finish mid-table in their domestic league but to qualify for the knock-out rounds of the CL. That same magical groove that seemed to be with them in the league last year could be effectively shifted to the CL but probably can’t be in both. One suspects that most of the players would be happy enough with and probably their manager, too. Burnley surprised everyone when they beat Liverpool 2-0 a couple of games back. They showed great resilience and form in a match that saw them have all of 20% possession but never look unduly flustered. They added a couple of good players in Steven Defour and Jeff Hendrick, two midfielders who increase their attacking threat and ability to manage games. They will rarely be pretty but they’re no West Brom. Boss man, Sean Dyche, is a clever and considered manager. He will know that, after having filled their boots in Belgium, some of the Leicester players might have some trouble getting their game to the same level n the league against a ‘lowly’ Burnley – in other words, this is fertile ground for complacency to set in on the part of the hosts. The question then is, can Burnley take advantage? The answer, we argue, is yes they can. Whether that’s in the form of a draw or an away win, it’s difficult to say as goals don’t come easy for Burnley. 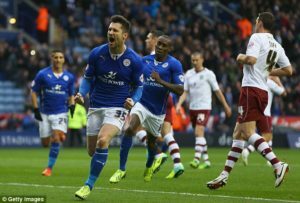 However, Wednesday was such a high in the history of Leicester FC, that there will be a down and Burnley just might take advantage. MarathonBet have a wonderful 32/5 on Burnley riding off into the sunset with all three points. The spirit of this preview isn’t too dissimilar to the one above. It’s a tie where the big boy is easily identified and the result seemingly locked. And yet, and yet… Watford, having been two goals down away to West Ham last week, felt sufficiently aggrieved to affect a massive swing and run out 4-2 winners. A less-than-enthusiastic Mourinho brought his charges to the Netherlands to face off against Feynoord in the opening game to their Europa League campaign. The result probably did little to lift Mourinho’s mood as they lost to a late goal from the hosts. There is an argument, of course, that such a slight would bring a roaring Man Utd out of the blocks in their next game and woe betide those who must stand up to it. However, even at this early stage of the season, there are hints that Mourinho’s early season form with his Chelsea side of last year might be once again at play with Utd. His 4-2-3-1 formation has failed to make the best use of the players available to him, as evidenced by two losses from two. He has already taken to throwing his players beneath the bus and it all has an eerie ring to it. Watford haven’t had a great start to the season but in Walter Mazzarri they have an experienced Italian manager who had great success with Napoli prior to getting the Inter gig (that didn’t go too well, in fairness, although he had a win ratio of over 60%). Mazzarri can consider himself fortunate to have two forwards in the vein of Deeney and Ighalo, both of whom opened their accounts last week. Nor will he be complaining if Capoue keeps on scoring, the midfielder having already grabbed three. There is a dourness, and even a sourness, already apparent in the demeanor of Jose Mourinho and that will be transferred to his charges. 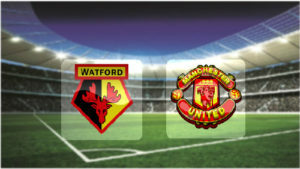 How the players handle that pressure will go some way toward determining the outcome but this column has an inkling that things are going to get worse at Utd before they get better and for that reason will back Watford to win. The best price for that result is 5/1 and comes courtesy of Bet365 amongst others.